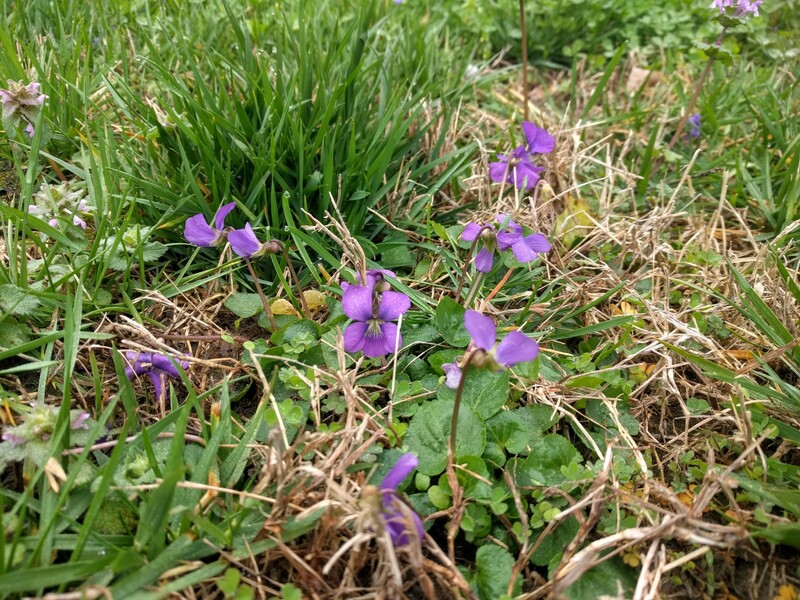 It’s that time of year again where violet flowers are wildly blooming and I love seeing the pops of colors on the ground. But did you know they hold magic? And you can unlock this magic and enjoy in your tummy at the same time?! 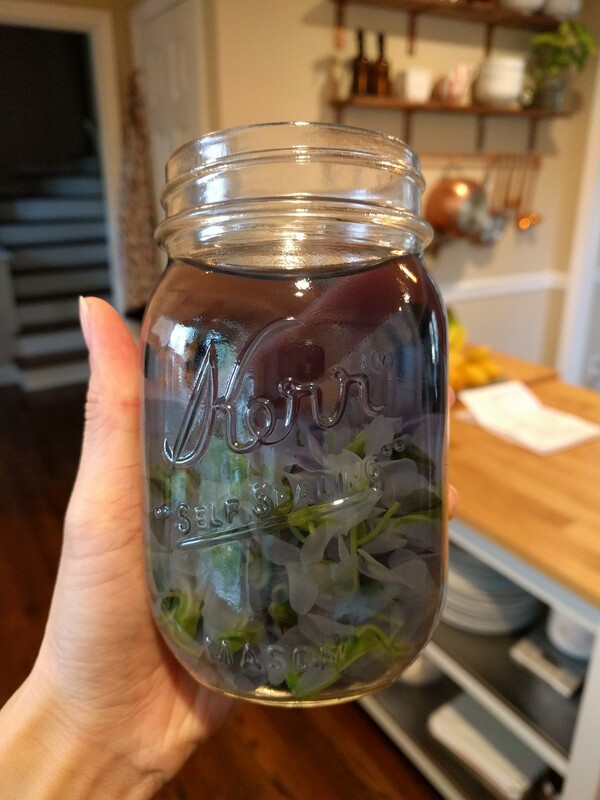 I learned about violet syrup last year at a foraging class in Asheville. 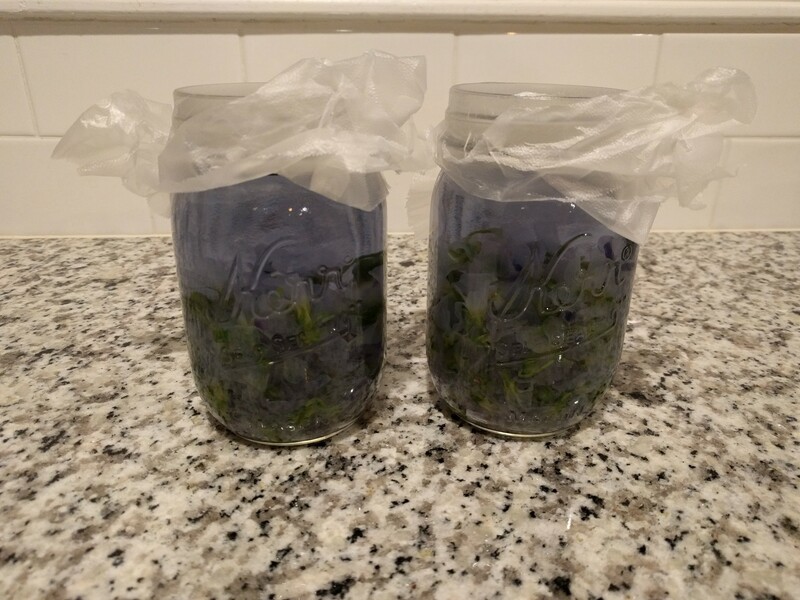 I tried it right away after I discovered they grew in hoards right in my own backyard! 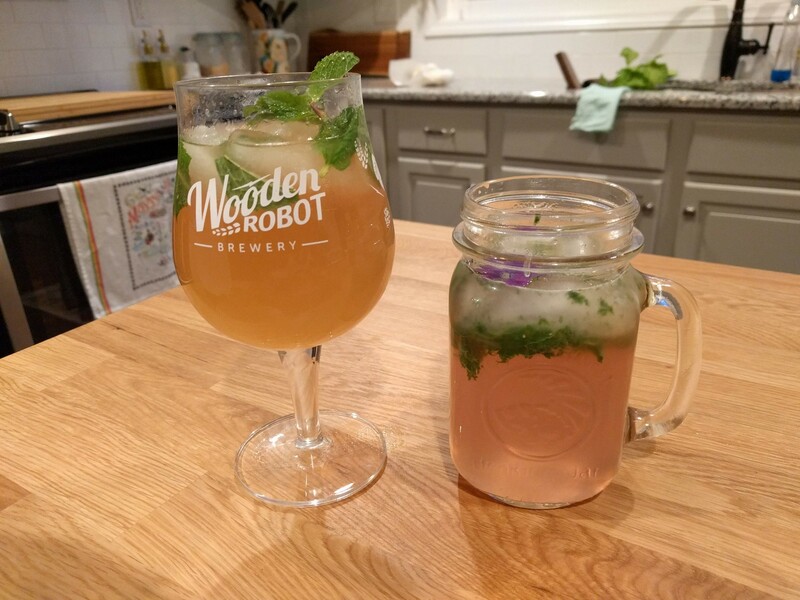 Khang really enjoyed making mint juleps at Cinco de Mayo last year for our friends and was pretty excited when he heard they were blooming again this year! Making this is so very easy and fun! 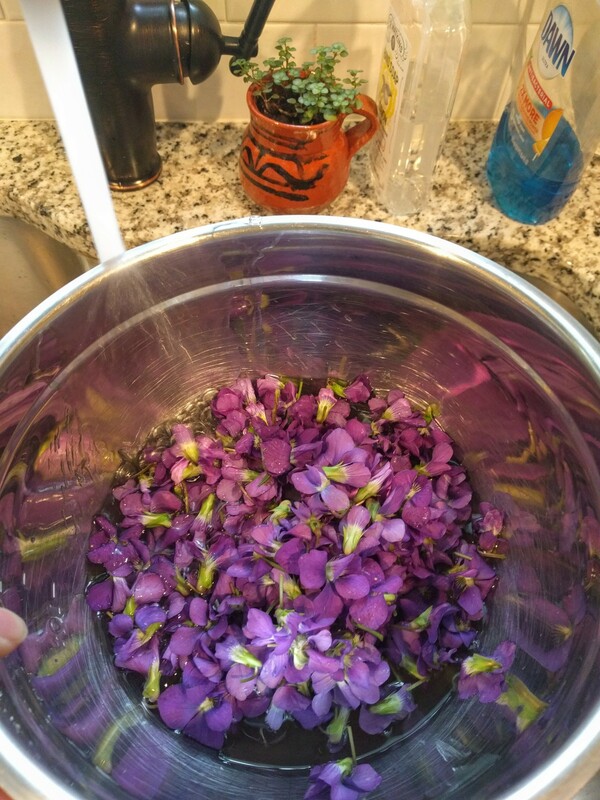 It’s basically like making a simple syrup, but you add violets. 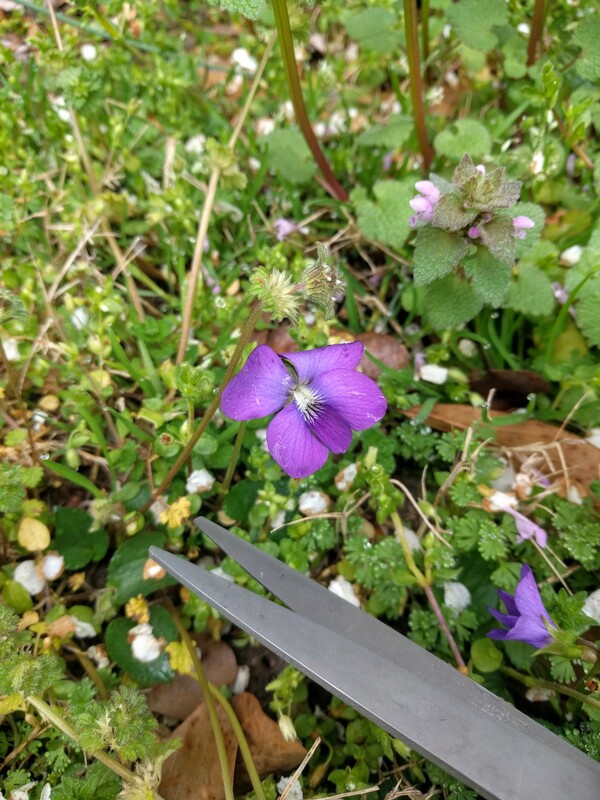 1:1:1 ratio of water, white sugar, and violets. 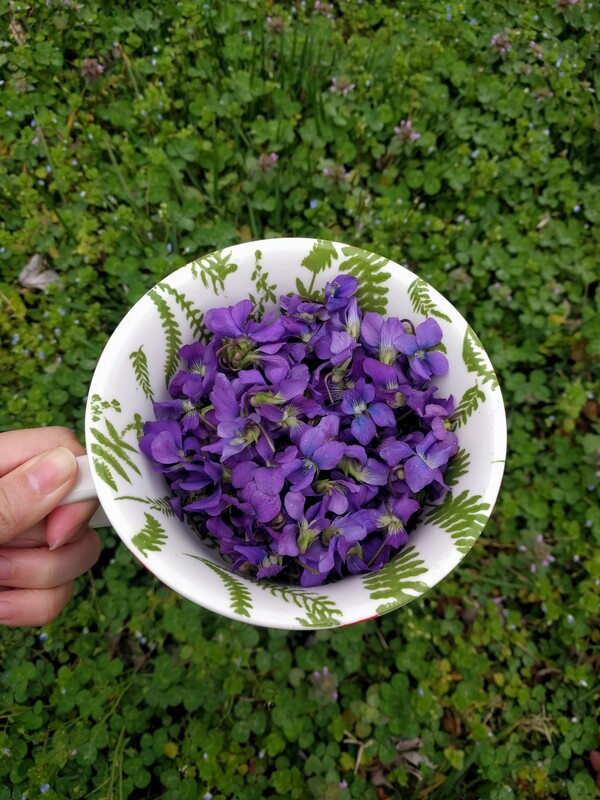 For me, I picked 2 cups of violets and used 4 cups of water and sugar. 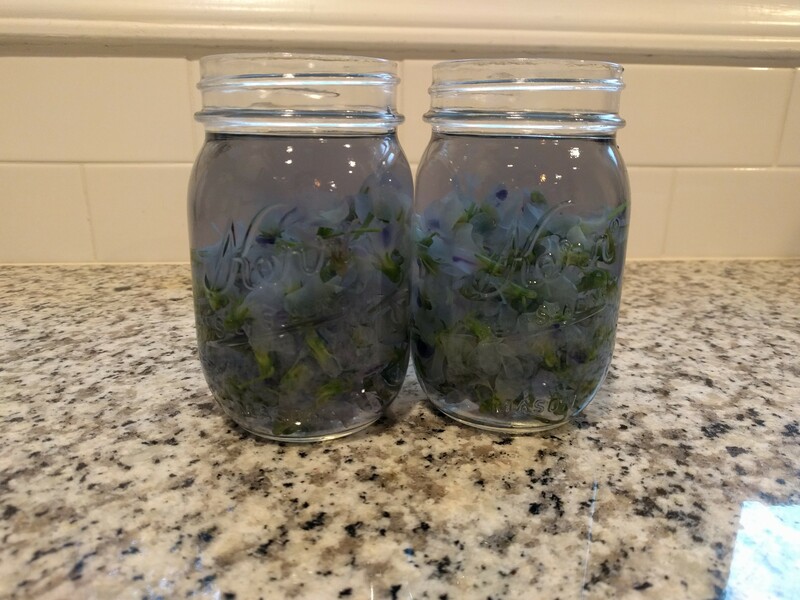 My syrup was pretty but a more mellow color because I split the flower ratio in half. Keep that it mind! 1. Pick the flowers. Please make sure it hasn’t been sprayed with pesticides or around animals that may have relieved themselves. The more, the merrier and vibrant the color. Don’t forget to take a big wiff of the lovely violet scent. This step is important. 2. Clean and rinse with water like you would with cilantro. I usually rinse at least 3 times. Measure how much you have. 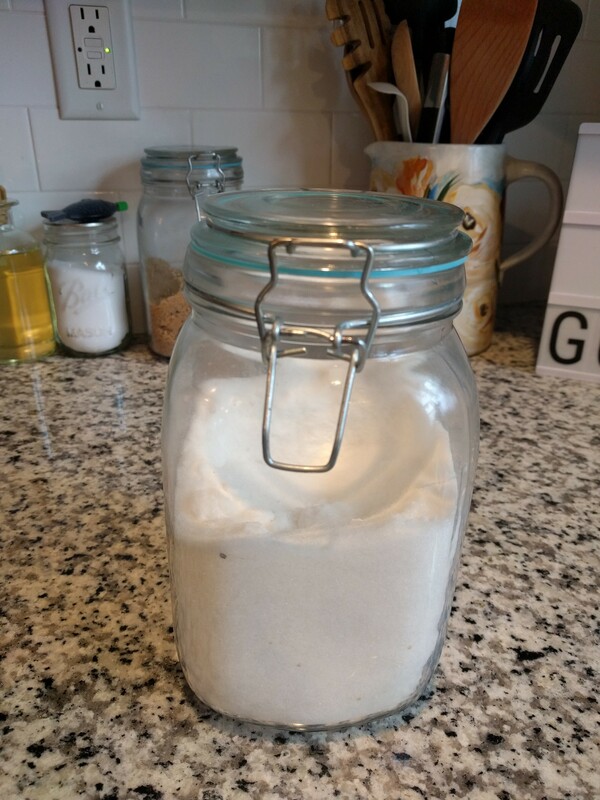 This will dictate how much water and sugar to use. 3. Divide evenly into jars or glass containers. It doesn’t have to be glass but you can see all the loveliness better. 4. 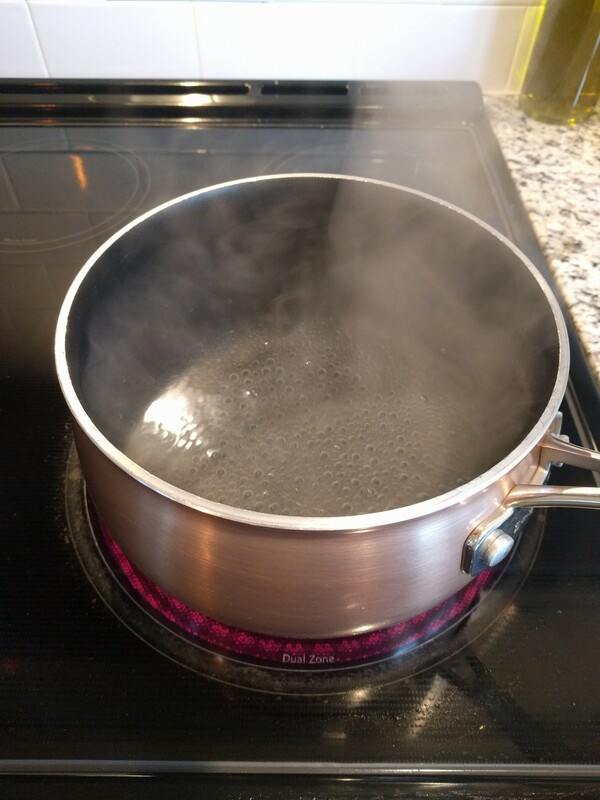 Pour water in pot, come to boil, lower heat, add sugar, stir till sugar has dissolved completely. 5. 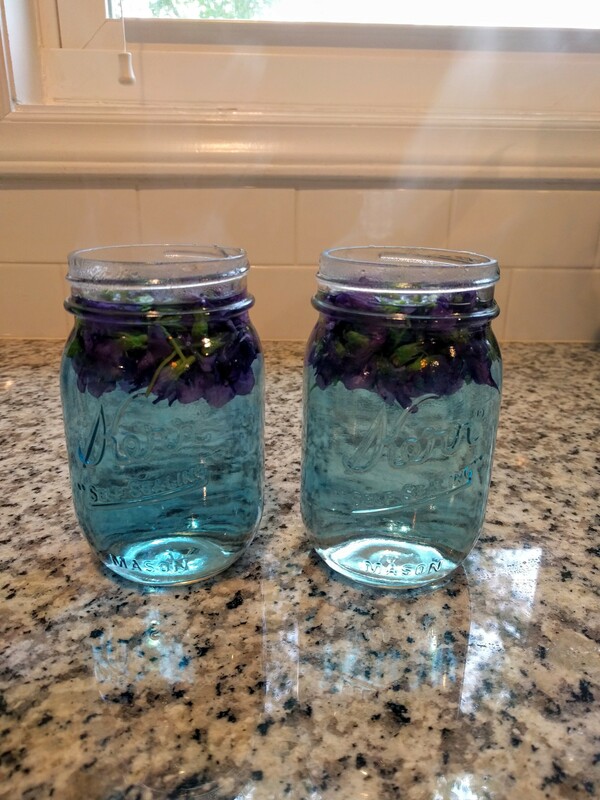 Carefully pour into jars of flowers while liquid is still steaming hot. Stir. 6. Let cool. Cover and place in fridge for 24 hours. 7. 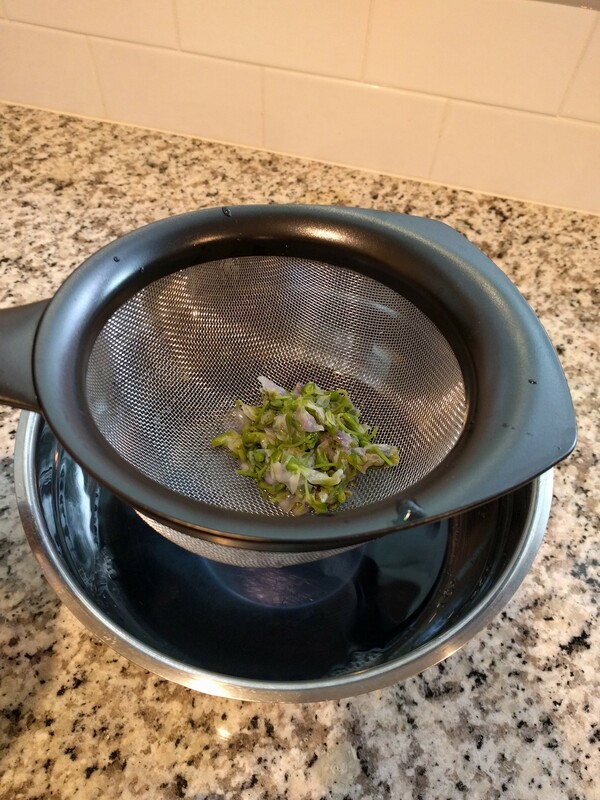 The next day, use a strainer to remove flowers. 8. Enjoy up to 1 year if it even lasts that long. 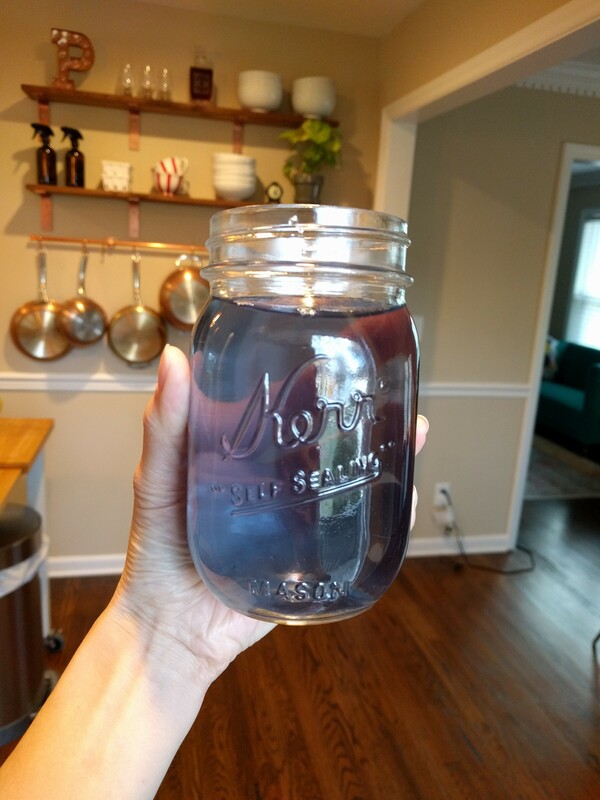 What I love about the violet syrup is how the color is natural and you don’t need to use artificial coloring. 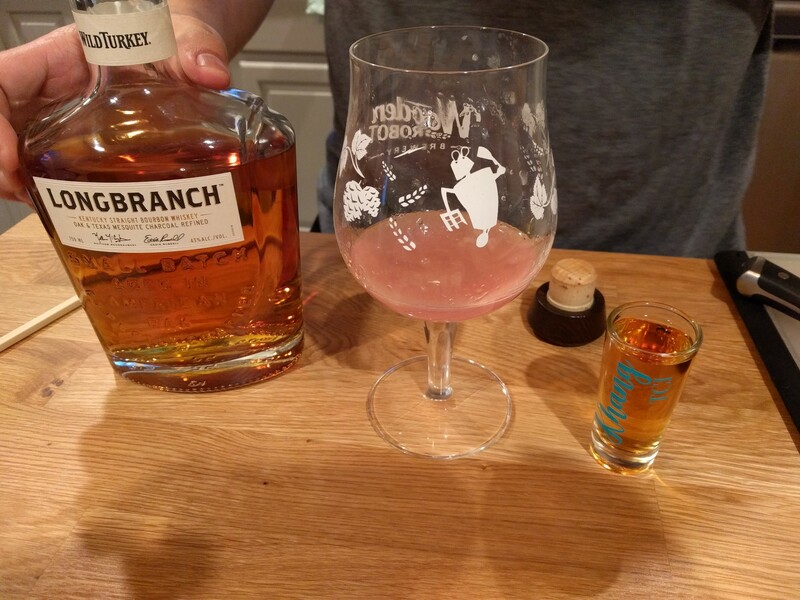 Oh and did I mention the syrup turns PINK when you add acidic juices like lemon, orange, and lime! 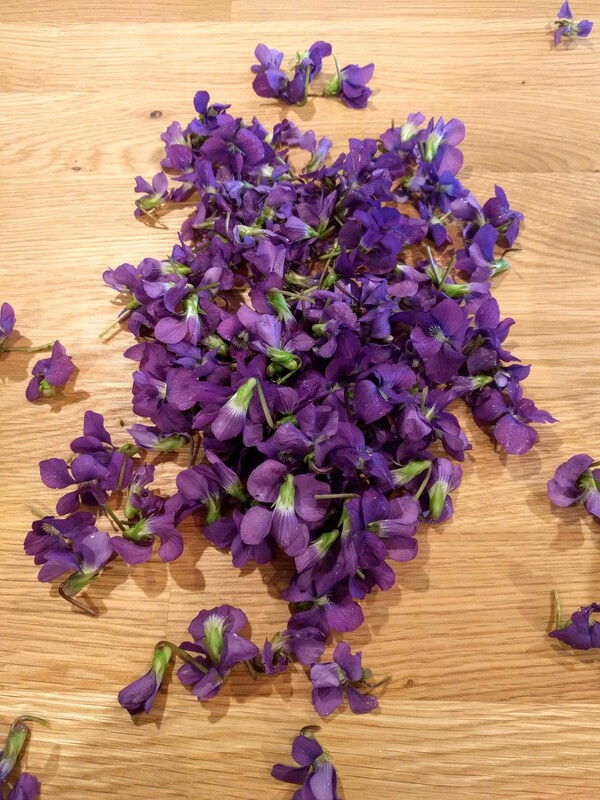 It has something to do with the pigments in violets called anthocyanins which react to the lowered pH. Talk about a cool science lesson for the kids (and adults)! 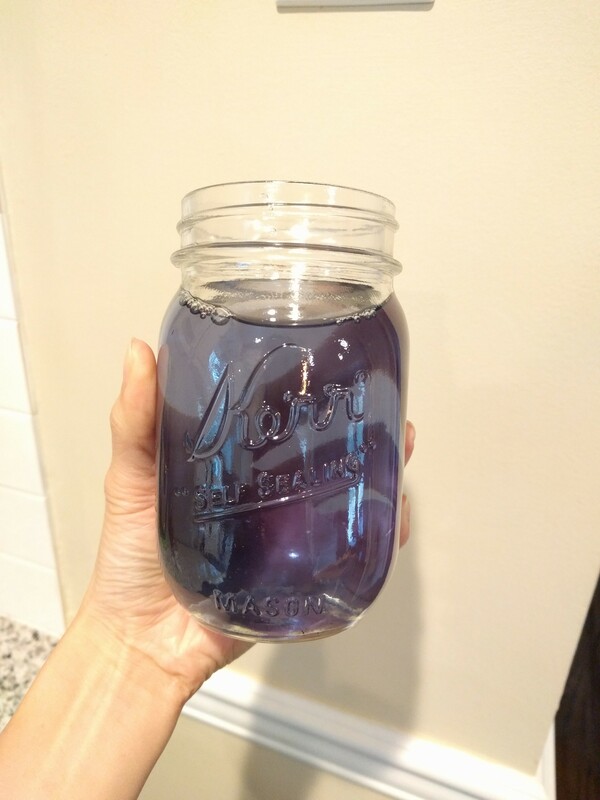 This is Khang’s favorite reason to use the violet syrup. Hah! He uses it in his cocktails. But I prefer a simple mint lemonade! 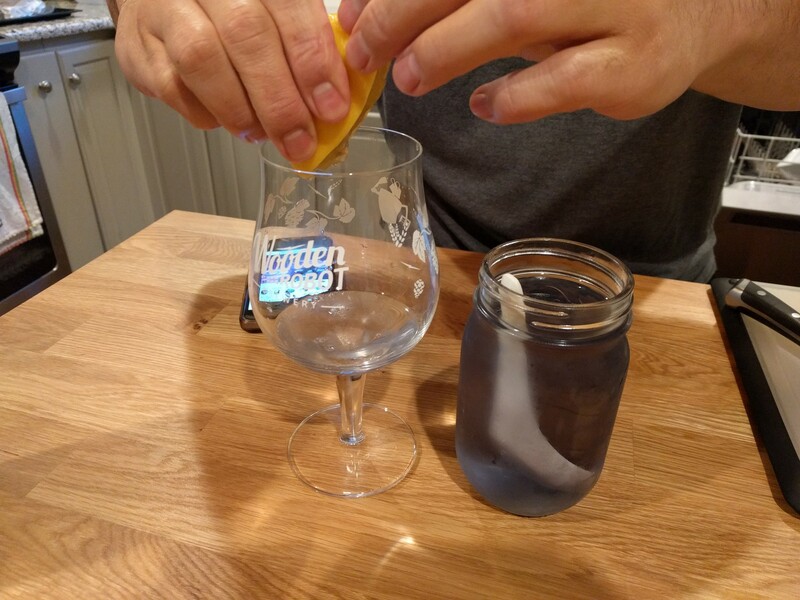 The pictures below are based off of this Kentucky Lemonade recipe. 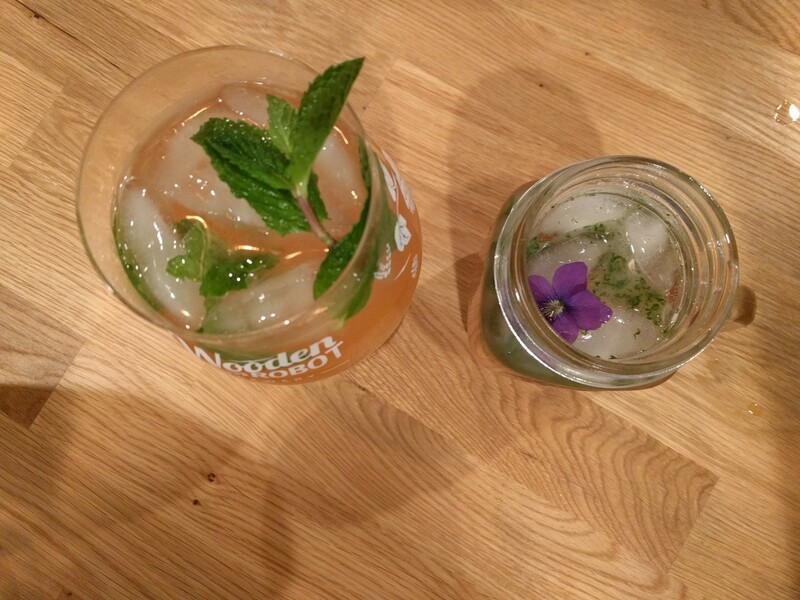 Khang prefers whiskey and garnishing with fresh mint. He used about 3 tablespoons of the syrup. Mine is virgin and I prefer my mint muddled. I used 4-5 tablespoons because I added substitute the ginger ale with water. I recommend you measure to taste. 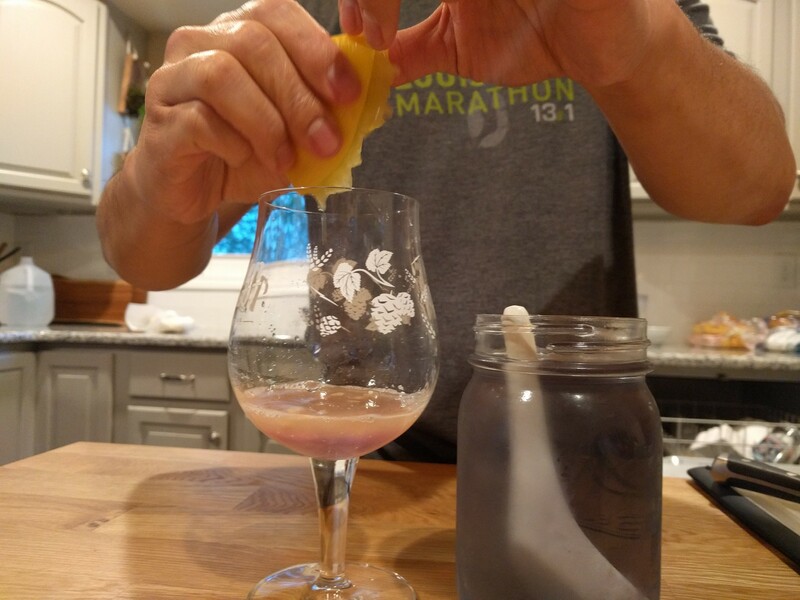 Use your favorite drink recipes! 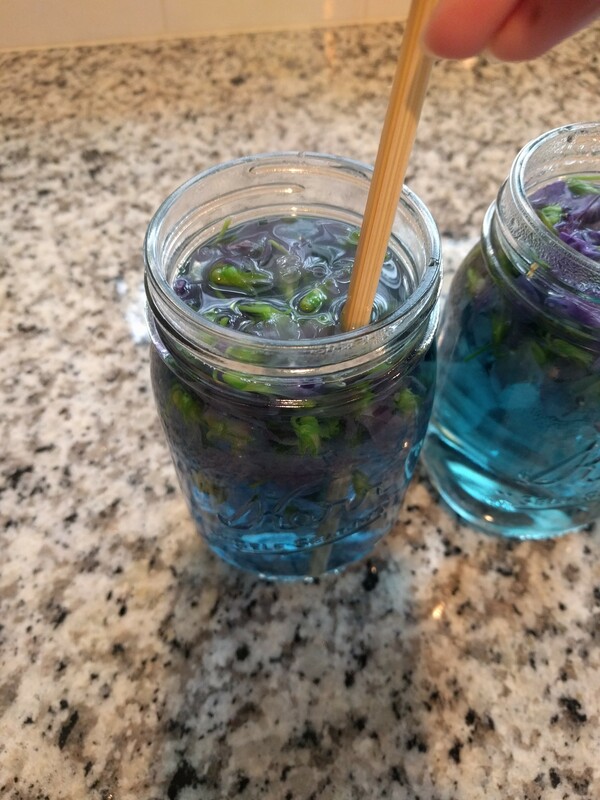 Pour the violet syrup in first, then the lemon (or acid) to really witness that magic! 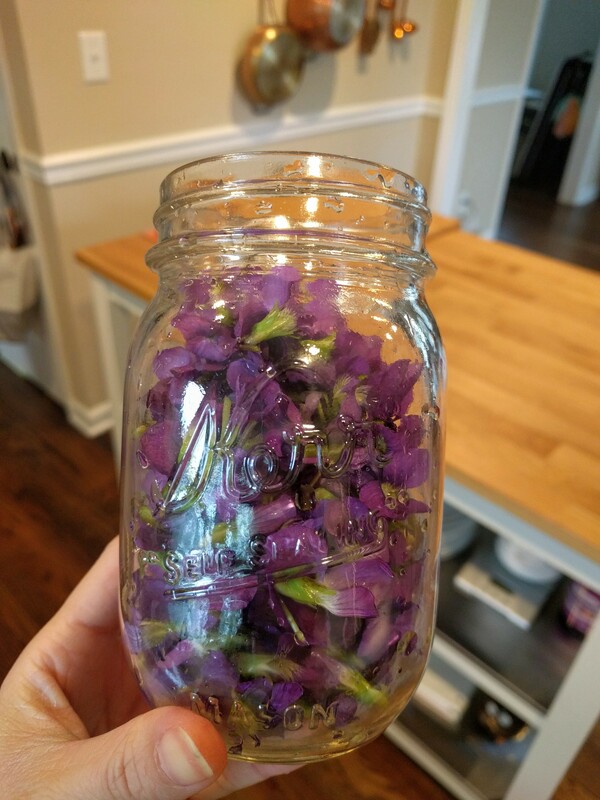 Also how sweet it would be for Mother’s Day if you made her a pitcher of pink lemonade with real violet flowers, which are edible by the way!